Delivered by Independent Truck Co., Chris “The Muscle” Russell packs a punch during a heated sesh at Memorial Park in San Diego. Tags: Chris Russell, Independent Truck Co. Independent Truck Co. hit the road with several of its team riders for a tour which canvassed the many diverse parks and backyards of Colorado. 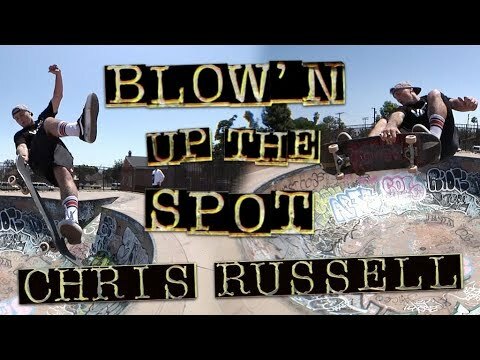 Chris Russell, Kevin Kowalski, Cody Chapman, Willis Kimbel, Lance Mountain, Ben Raybourn, Peter Hewitt, Chris Haslam, and Tony Trujillo. Sit back and watch the annihilation unfold!